Please can you confirm that this is a quince. (oicture attached)I don't want to poison anyone with my jelly). If it is a quince how do I know when they are ready to pick from the bush - some have fallen to the ground but the others really need a big tug to remove them from the twig. It looks like a Japanese Quince (Chaenomeles japonica) which is a bush rather than the usual type you would use to make jelly. That species, a tree is simply called a Quince (Cydonia oblonga). 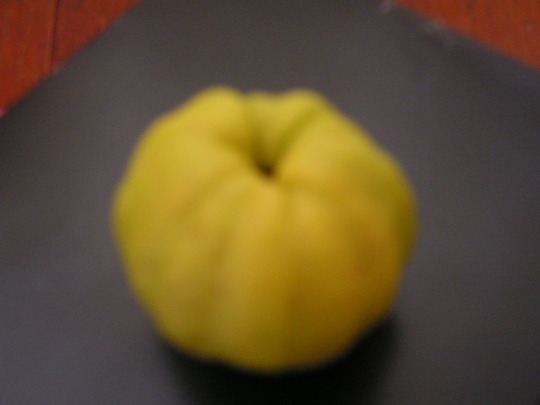 You can still use the Japanese one though, just google Japanese Quince recipes. The quinces are ripe when you they can be removed from the bush without tugging. You have to keep a close watch as they drop if not picked as soon as they are ripe. Thanks. I'm really new at this so appreciate all the help I can get.